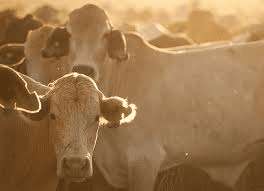 Federal Agriculture Minister Joe Ludwig’s decision to halt live cattle exports to Indonesia so angered the industry that beef producers have now put him on par with floods and droughts. Farmers fronted a Senate inquiry in Broome on Thursday complaining of their lot in life, namely "floods, droughts and Ludwigs". West Kimberley producers said they were shocked at the lack of knowledge Senator Ludwig demonstrated during a meeting with cattle farmers two days after the trade’s suspension had been lifted. "I kid you not, he said, `Please explain it, how does it work? How do you get the order for cattle? If a boat comes to town, how do you know you can put cattle on it?’ We thought it was a trick question," one told the committee. The beef producer said it was astonishing to see the agriculture minister asking such basic questions of people "whose industry he has just smashed to smithereens". "He never even had the decency to learn about our industry before he killed it," the producer said. Senator Ludwig wasn’t the only target during the hearing, with producers also attacking the government overall, animal activists who sparked the trade suspension, and individual senators. One producer had a go at independent senator Nick Xenophon, who would like to see the live export trade shut down permanently in favour of boxed meat, saying that blaming producers had resulted in a big social impact. The producer said his daughter had been bullied at school based on the portrayals of farmers as "these evil, capitalist pigs, living in the north, just gauging profits out of poor, sad animals that die horrendous deaths". Australian Greens senator Rachel Siewert also got into a tiff with another producer after he questioned the footage that led to the ban, which was coordinated by Animals Australia’s Lyn White. "Do you believe everything you see?" he asked the senator. "Do you seriously think she got in there without paying someone off?" Asked to substantiate the claims, which have already been denied by Ms White, the producer argued that Animals Australia’s footage of abattoirs in Indonesia and more recently in Turkey had not been independently verified. "It came from the same source … produced by the same director," the producer said. Another producer rubbished the government’s initial $30 million compensation package, which offered immediate cash grants of $5000 and up to $20,000. The government has increased the compensation by another $70 million, taking the payments on offer above the $100 million mark. The Senate committee is due to submit its final report on animal welfare standards in Australia’s live export trade by September 21.